It would be really nice if I could run the chat on the browser sidebar, but it doesn't shrink enough. bookmark the chat address, the right-click in the bookmark, select "Properties" then tick the option "Load this bookmark in the sidebar". download an agent list (sample here) and import it into User Agent Switcher or add the agent manually. The agent switch is necessary to fool the site so you can load the compact version of the chat. You need to switch it back to the default agent after opening the chat, otherwise all your pages will load with mobile content. Not the answer you're looking for? 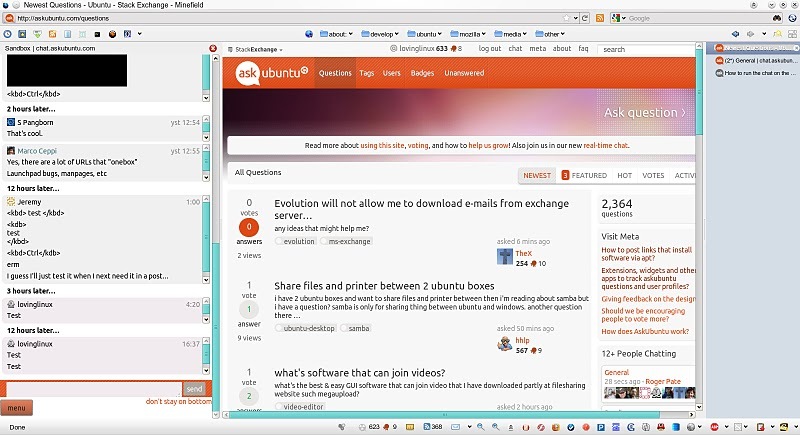 Browse other questions tagged support chat browser . How can I move a discussion from comments to chat after the 'move this discussion to chat' link has disappeared? Could I invite 1 rep users to chat rooms?